The closest one can come to traveling back in time to hear the pure, uncolored message in music from the past is by listening to a master tape. Our job is to bring you, the listener, this experience of immediacy and musical truth through a transparent playback of the sounds encoded in your vinyl, with nothing standing in between your ears and what the artist was trying to say on stage or in the studio. In the spirit of continuing the quest for musical authenticity, we at Basis Audio are proud to announce the addition of the Super Platter upgrade for the Inspiration Turntable to our product lineup. 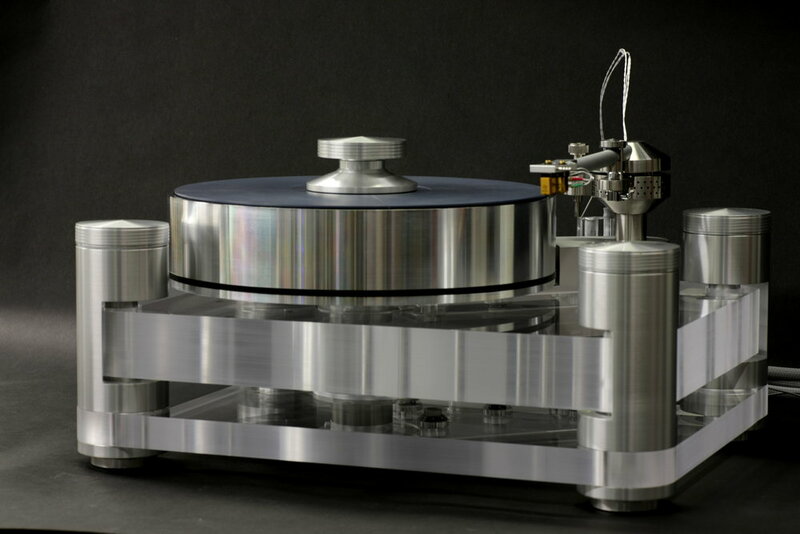 Inspiration owners who desire the performance of AJ Conti’s masterpiece, the Transcendence, can now choose to incorporate some of its key design features in their own turntables. The upgrade includes suspension tuning and the installation of the Super Platter and bearing. The large mass of the hybrid platter, which is composed of a precision machined record mat and a proprietary alloy body, serves to minimize resonance while maintaining superior speed stability and tracking precision when combined with the Basis Vacuum System. This is evidenced in the incredible 0.01% wow and flutter and 0.012% speed drift, which are both industry leading numbers. 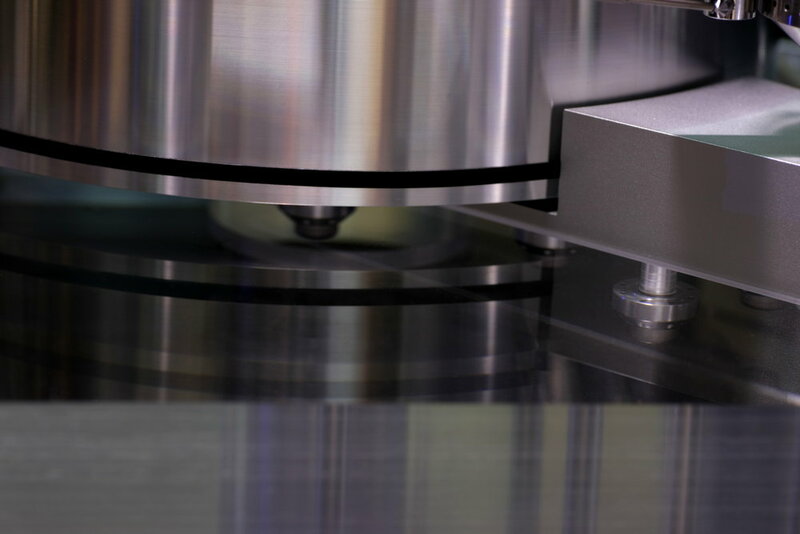 The material used in the record mat closely matches the mechanical impedance of a vinyl record, thus dissipating the record’s vibrational energy through the platter. The oil-well bearing which supports this massive platter is a proven design that has seen use in many Basis turntables, and has been modified to keep the center of gravity of the platter directly between the top and bottom bushings to bring lateral forces to a minimum. 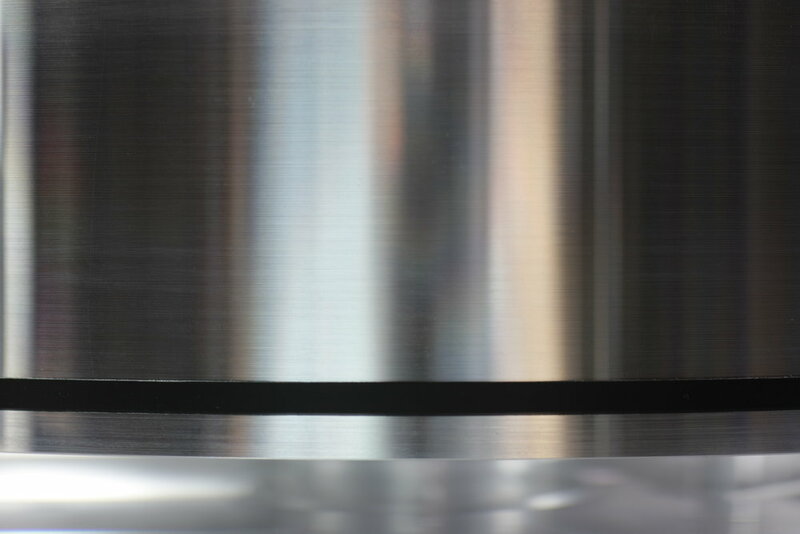 To that end, the platter and precision matched bearing are machined to radial and vertical tolerances measured in ten-thousandths of an inch. The result is low friction and low noise, which translates to silent backgrounds, imperceptible grain, and a sublime listening experience. In combination with our Revolution Belt and Vacuum Record Hold-Down System, AJ’s Super Platter offers unmatched performance that will coax out the truth from your favorite LP’s.